DSI’s DoD Unmanned Systems Summit is designed as an educational and training “Town Hall” forum, where thought leaders and key policy-makers across military and civilian organizations can come together for actionable discussions and debate. The Summit will offer a full spectrum viewpoint towards air/land/sea systems. The focus of U.S. military Services in times of budget constraints and shifting theaters of operation is on operational efficiency. Unmanned systems can no longer assume just one role or function. Systems will need to be able to carry out a broader range of surveillance missions, demonstrating interoperability with other platforms. Next-generation systems will need to prove they have a systems architecture that can rapidly integrate a wide range of capabilities. Open architectures and a SOA approach towards the evolution of unmanned Common Control Systems is already at the forefront. Advanced UAV sensor payloads are acquiring a wealth of data but bandwidth is often limited. High performance onboard data processing will need to be improved upon to increase the efficiency of data being streamed off of a platform, while taking into account SWaP especially on smaller UAVs. Autonomous activity continues to make advancements. But it is “ not about making widgets…It is [about]making existing/future systems more self-governing.” DoD 8 November 2012Autonomy Priority Steering Council Brief. 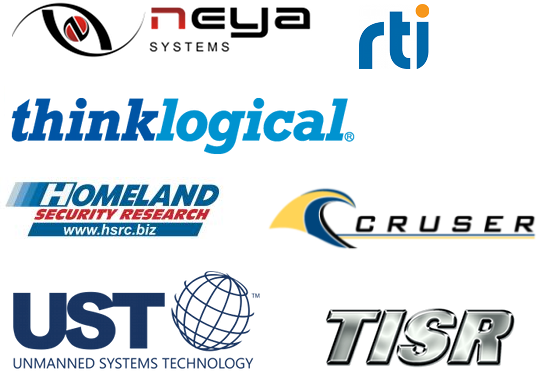 Commercial off-the-shelf (COTS) options are of increasing interest, especially those that allow integration among unrelated unmanned systems from different manufacturers into a single system: requirements moving forward will focus on common architectures and a SOA approach. 1. With ever tightening budget constraints AND oversight, how do we develop a truly joint and coordinated strategy? 2. It took us many decades to develop a joint Warfighter doctrine and TTPs for humans, what does that look like for a battlefield populated with unmanned systems? a.) How will we achieve coordinated and automated command and control of multi-service, multi-function UAS? b.) What is the mix of autonomy and human-in-the-loop control? c.) How are we developing the modulation, simulation, and analysis tools to understand a complex battlefield populated with unmanned systems and ultimately develop a set of requirements? *The DoD Unmanned Systems & Robotics Summit is open to all Federal employes and is considered a compliant education and training forum. Gain Education & Insight: Walk away with knowledge gained from our senior level speakers on some of the complex challenges facing the unmanned community today. Build Partnership & Influence: Help foster ideas. Share your own insight and knowledge during our interactive Town Hall sessions. All attendees are given the opportunity to address our speaker faculty with their questions or comments and will receive a pre-Summit questionnaire for precise questions and subject matters you would like our speakers to address.